A team of four hackers based in Manila have been arrested over a premium-line phone scam that targeted customers of AT&T, costing the telecoms company almost $2million. The team were paid to break into the phone systems of AT&T customers in order to make calls to international premium-rate services whose payments would be diverted, reports The Guardian. The money was then siphoned off in order to fund a Saudi-based militant group. According to the Philippines' Criminal Investigation and Detection Group (CIDG), the Saudi organisation is the same one that the FBI claims funded the November 2008 attacks in Mumbai that killed 166 people. These kinds of scams happen fairly regularly on a smaller scale across Eastern Europe, Africa and Asia. 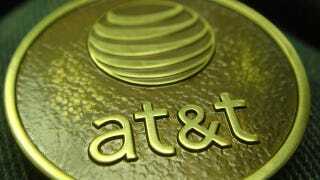 But $2million is a hefty sum that has had to be footed out of AT&T's profits. Last week we reported that AT&T had announced that some its customers' accounts had been attacked, though it's not clear whether that announcement is related to the Philippines incident. Combine all this with the fact that AT&T are still struggling with their acquisition of T-Mobile, and that their best chance of seeing the purchase though might be to sell of a large chunk of their assets, and the news isn't too great for the telecommunications giant right now.